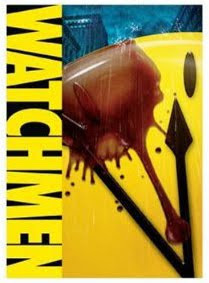 FINALLY - the WATCHMEN DVD is on sale in New Zealand! Distribution problems meant movies like this and DEFIANCE have only just been released, right into the massive sales of a holiday weekend! Now that's coincidental! Still the bargains let me grab a copy of the steelbox edition for a song, so I'm happy to leave the conspiracy theories to Rorschach - now my collection is complete! How long did that take? The original company who had the rights went under. In the mean time all the movies - Terminator, Star Trek and Watchmen were all on hold. Thank goodness they've finally got it sorted! I'll say Jonny. Wasn't a good time to have distribution troubles!